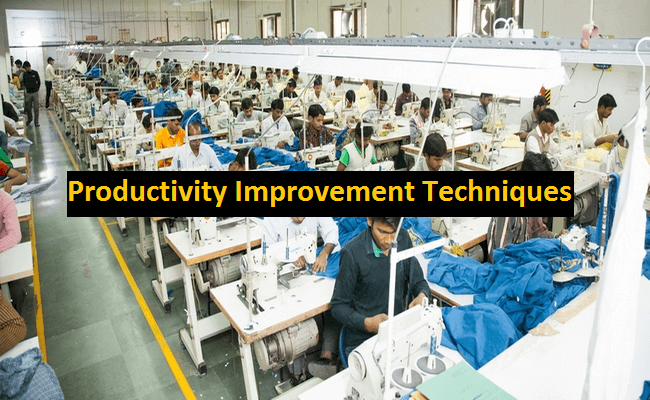 How to Increase Productivity in Apparel Industry? Productivity is a frequently talked about phrase in any production oriented enterprise. It is totally related with the profit percentage of an apparel export order in apparel industry. Destiny of an organization eventually depends upon quality and productivity. Many people conceive of productivity as an entity separate from quality. Productivity actually always encompasses quality. There is actually no meaning of high productivity if the products or services produced are of second quality. It is also unwise rather harmful to view productivity as activities related to production department alone. Productivity relates to all activities in the enterprise. This chapter shows how low productivity brings in a chain of vicious cycle in the organization, the measures to be taken to boost productivity in totality and how systems and processes promote productivity. Production generally refers to activities that convert resources into product or services while productivity is related with how specially products or services are produced.